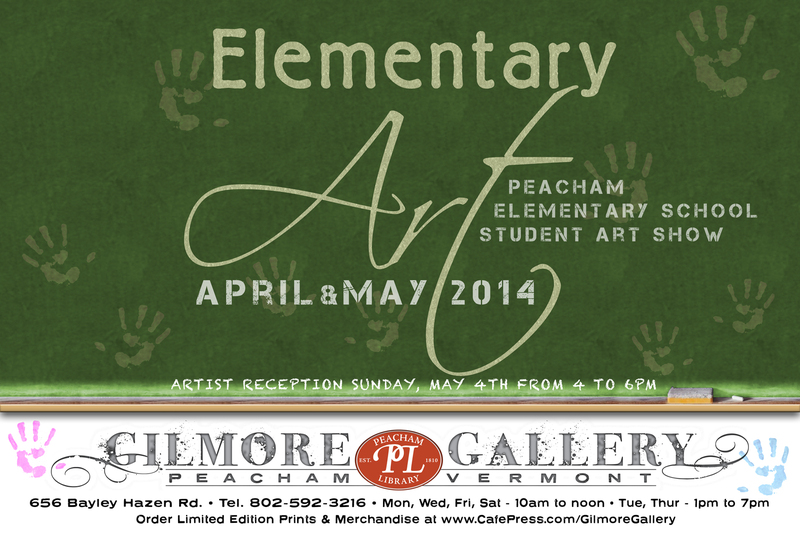 The Gilmore Gallery at Peacham Library is proud to present its 2nd Annual Elementary Art Exhibition, featuring artwork created by the students of Peacham Elementary School under beloved art teacher Omri Parsons. Colorful two and three-dimensional projects, as well as “photograms” (you’ll have to come in to find out what they are) adorn every corner of the gallery until the end of May. There will be an especially festive artists’ reception Sunday, May 4th from 4 to 6PM. This is the perfect time to witness the work of fledgling artists as they spread their creative wings.